Terry Alexandar Ejeh began his music career at a tender age and has been doing music for 20 years starting out in the church as a drummer to the streets and the entertainment industry in Nigeria. During his elementary days in school, he loved playing with empty cans envisaging himself as a drummer and singing along with his fictitious rhythms and rhymes to the admiration of his teenage friends. Terry Apala describes his genre of music as “Apala Hip Hop”, having gotten inspiration from the late Haruna Ishola and backed up by his Yoruba influenced upbringing even though he hails for Isoko in Delta State. 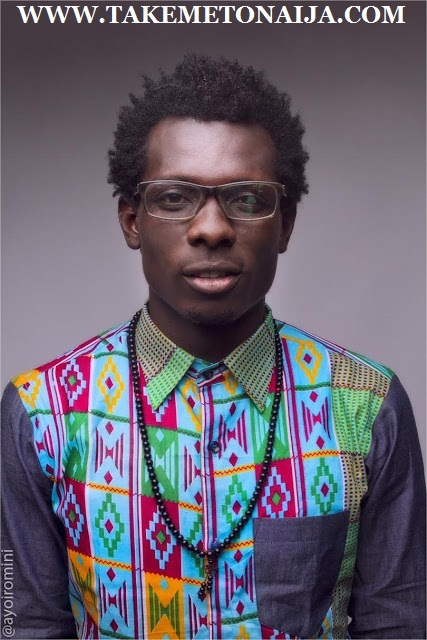 Over the years, Terry Apala has wowed fans as a singer, song writer and performer, performing his own songs at local gigs where he was continually showered with praises as an artiste doing ethnic songs that is not his native language and he has been successful at performing this genre of music. His rapid rise to stardom started with a superlative performance with his former R&B group (now defunct); Mezo Soprano where he was the lead vocalist and earned them the first prize during the launch of the Kanu Heart Foundation in 2000. The opportunity positioned them to perform alongside the music maestro, Orlando Julius and ever since then, he hasn’t looked back. Church drummer turned singer Terry Alexandar Ejeh, has made four solid efforts over the last two years. Thanks to a deftness for selecting producers to work with, Terry has released soft work love song, Number One, statement worthy electro-jazzy Modernize, the uber laid back Mo Popular and more recently Sess produced sleeper hit, Champagne Showers. Across these four singles, there is a distinctive shock value stemming from Terry’s confident songwriting and succinct interpolation of English and Yoruba lyrics with the ease of the breathing. These already rare attributes for Nigerian music is set on his throaty Apala vocals and fresh-cut beats that sail far from what this style of music used to be, yet coming together as a whole to bear a mark of untapped and unhinged originality. Our cosign for Terry, however, goes beyond his music to also appreciate what he represents as an artist with an authentically African premise for his brand. This, in an industry where all the rich cultural heritage that once made up our soundscape is often relegated to the place of ‘local’ music, is proof that great sounds never really go out of relevance, the artists just fail to evolve. Though there has been no promise of album, Terry has already won us over by his wherewithal to keep the wine of Apala music fresh by merely changing the bottle. A counter-coin to the alternative route many of his peers have followed by discarding the value of any Nigerian sound without Western cultural influences. On Mo Popular Terry sings ‘We use eran maluu (meat from cows) do Suya/ Speaking English no more vernacular’, a hint even little details like the undertones of sarcasm Apala music has always carried itself with is retained in his music despite the modern production. This is what genre evolution should look like and we hope all the impersonators who merely affiliate themselves with originally homegrown sounds but fail to do the actual work or research are paying attention.